I have to admit that while I love cooking – both Indian food and otherwise, I am quite intimidated particularly by SOUTH Indian cuisine. Most likely because I grew up in a South Indian (Malayalee) home, eating some of the tastiest meals of my life! – Fish Curry, Appam (rice pancakes), Coconut Fish Curry, Chicken Curry, Payasam (vermicelli pudding), Fish Fry, Dosai (rice crepes), etc. etc. With memories of those lovely meals are also flashes of the blurred image of my mom darting throughout the kitchen, grabbing a host of different ingredients from here and there – then crushing, roasting, frying, blending, sautéing, simmering, steaming – seemingly almost all at once! One of my most favorite combinations is Idli (fluffy rice cakes), Sambar (tangy vegetable stew) and Coconut Chutney. This meal is not complete unless you have all three components. 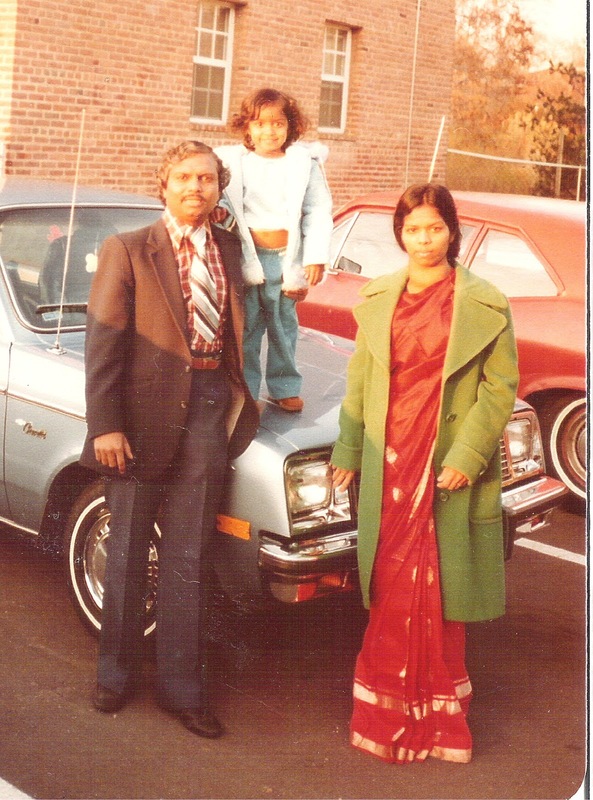 While I stood watching my mom or other aunties in their kitchens, I remember making a mental note that making any of the three would be too complicated to attempt. But finally, my craving for the delicious tangy, coconut-y, spicy meal got the best of me! I had to try my hand at making this. There was no way I was going to grind the idli batter from fresh rice (like my mom has). So I did the next best thing – I bought a “Gits” brand Idli mix from my local Indian store! : j But one thing still stood in my way – I didn’t have the big clunky idli maker! 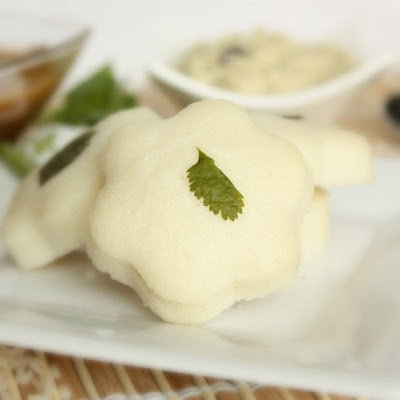 Out of desperation, I googled “how to make idlis without an idli maker” and found almost nothing. Then, I happened upon a post by TesatHome on making idlis. She had the genius idea of using your rice cooker and cupcake liners. I expounded on that with the addition of cookie cutters to give the idlis a nice shape. 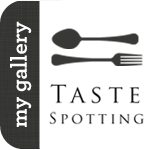 And it turned out amazing – Take a look! 1. Set up rice cooker with a colander or steam basket over top. Or on a stove top fill a pan with water and place a flat bottom colander over it (careful to not let the water touch the colander) and place a lid over that. 6. be careful when removing cookie cutters from steam basket and pop out idlis – TA DA! 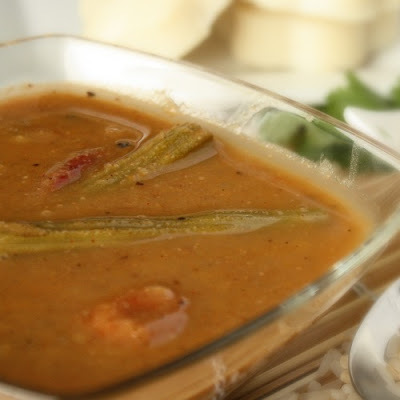 I have a secret – I like restaurant sambar better than my mom’s homemade version. Is that terrible? I just really loved the Sambar Ive had, especially at Udipi Palace , a great Indian restaurant chain in the US. This was another intimidating dish that I never thougt I could make and only recently attempted. If I was going through the trouble of making Idli and Sambar, I HAD to make coconut chutney too! Here is a (surprisingly) simple and deeeelish recipe! Part of the recipe is actually cooked (tempered/tadka) and then added to the fresh coconut. 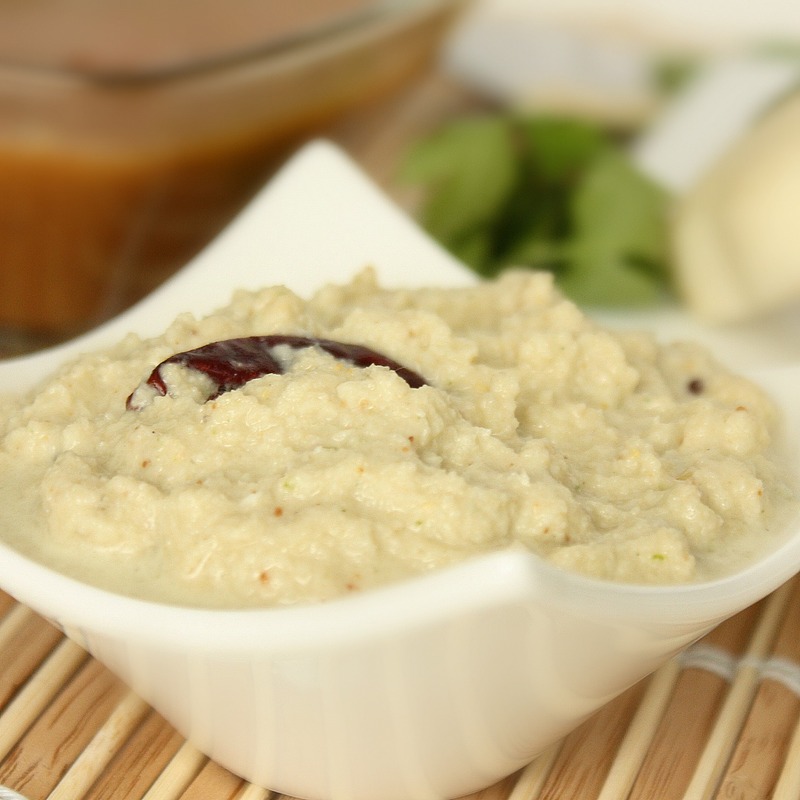 This is definitely the secret to authentic coconut chutney! Please excuse me while I go stuff my face. again. 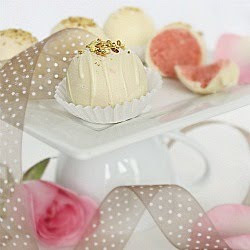 Step by Step - Rose and White Chocolate Cake Truffles! I posted this recipe recently and had such wonderful feedback, that I wanted to share the step by step intricacies of making these yummies. Step 4. Mix the cake crumbles and the icing together. Then begin rolling out small cake balls. Once they have all been made, pop them into the freezer to firm up before dipping into the warm chocolate. Step 5. Melt Baker's White Chocolate over a double boiler. Take out 3-4 cake balls at a time from the freezer. Dip one at a time into the chocolate and then place on parchment paper lined tray. 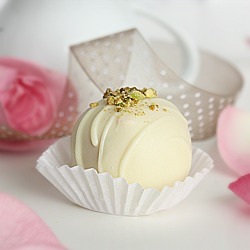 Once the cake balls are dipped - you can drizzle more white chocolate over top to create a design and/or sprinkle chopped pistachios to the top. Place them back in the fridge to cool and firm up. Step 6: Sharing is caring! Give these yummies to your faves!